Los Cabos is a municipality located at the southern tip of Mexico’s Baja California Peninsula, in the state of Baja California Sur. It encompasses the towns of Cabo San Lucas and San José del Cabo. 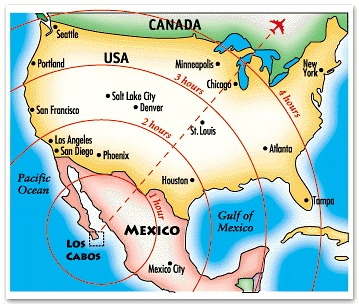 The SJD airport serves Los Cabos area: San José del Cabo and Cabo San Lucas. This airport has three terminals with four concourses. Terminal 1 serves both domestic and international operations for various air carriers while Terminal 3 services Alaska Airlines, Delta Air Lines, Frontier Airlines and other seasonal international carriers. The annual average temperature is 78 °F. From October to April the temperature is between 78 °F and 82 °F during the day and between 57 °F and 62 °F at night. 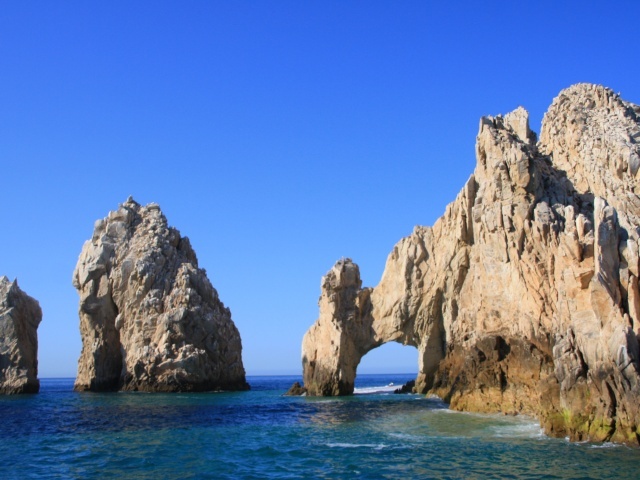 El Arco, commonly called “the Arch”, is a real reference point in Los Cabos and is only reachable by boat. Just south of the Arch is Land’s End, a rock that juts over the water. This is the last instance of land in Cabo marking the end of Baja California and the beginning of continuous open waters southward.